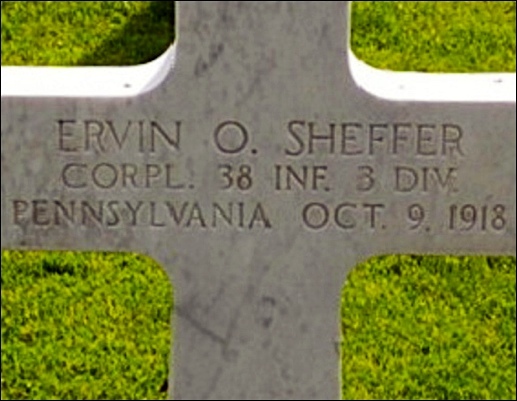 Ervin Sheffer is among the 24 WWI York County Veterans buried in Meuse-Argonne American Cemetery in France (complete list at end of post). 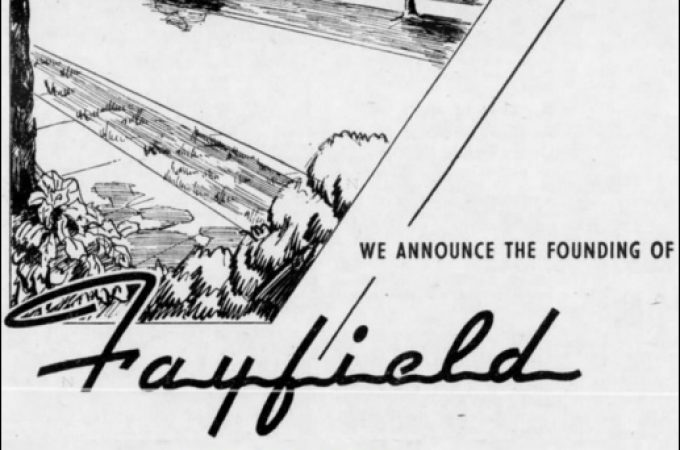 Corporal Sheffer was the recipient of the Distinguished Service Cross for his heroic actions in the taking of Hill 253 during the Meuse-Argonne region offensive, occurring the last 6-weeks of the Great War. 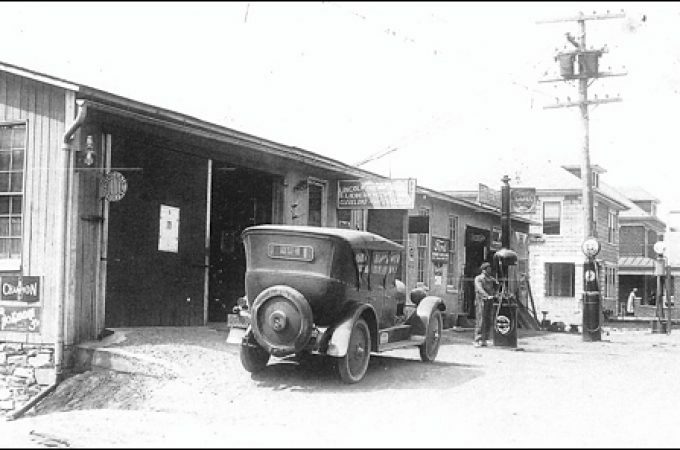 Ervin O. Sheffer was born in York County, to Frank & Lillian Sheffer, during 1897. 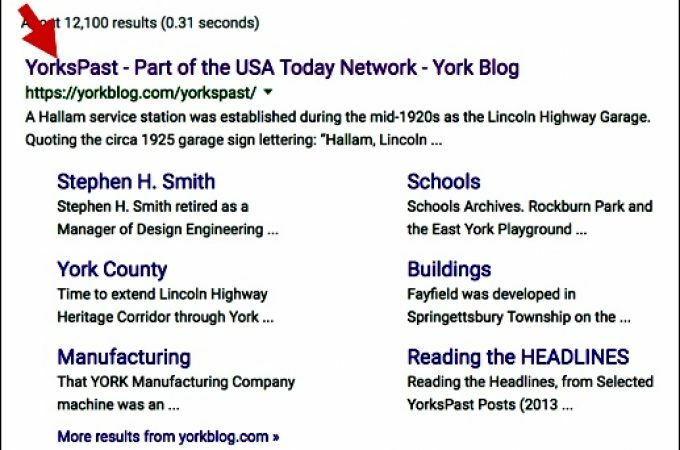 His parents lived in North Codorus Township, prior to moving to York City; where they resided at 1309 West King Street. In 1912, Ervin’s father died, after which Lillian married Oliver Deckman. 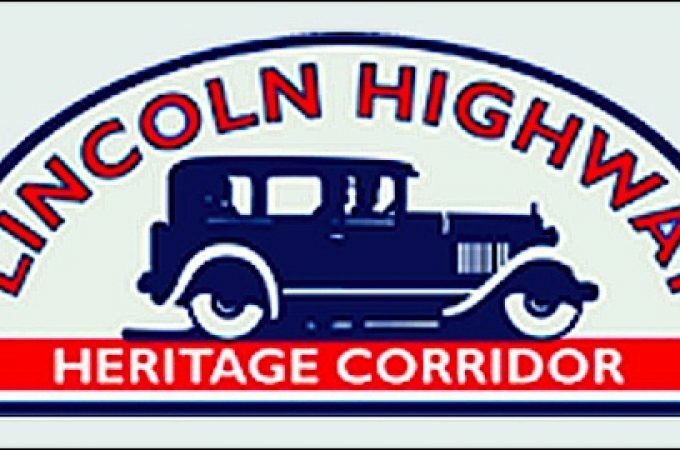 Ervin took up the trade of chain making and was employed by the American Chain Company. 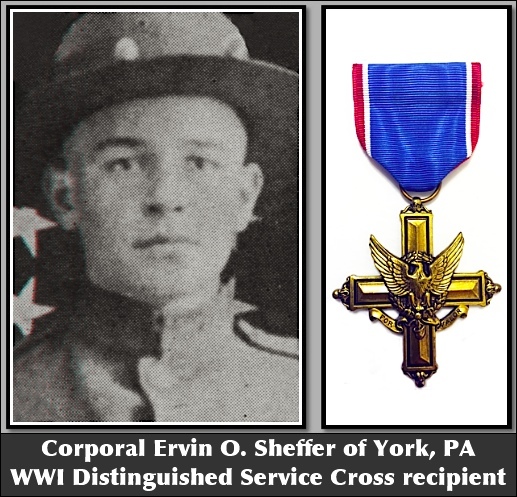 Ervin Sheffer enlisted in the Army on November 15, 1917 and received his training at Columbus Barracks in Ohio. On one of Ervin’s early military records, the typed “O,” for his middle initial, has a slight break on the right side; possibly from a worn typewriter ribbon. That is most likely why one occasionally sees Ervin listed as “Ervin C. Sheffer in subsequent war publications. Ervin was sent overseas on March 30, 1918 and fought in many battles; including the Marne, Jaulgonne, the Vesle, St. Mihiel Drive and the Argonne Forest. Ervin was promoted to Corporal on September 2, 1918; prior to the battle at Argonne. High on Hill 253 was a powerful German strong point that dominated a large part of the zone of advance of the 3rd Division. The German machine-gun nests on that hill had to be taken out for the division to advance, since the machine-gun nests held a field of fire over the entire valley. Hill 253 was attacked on October 4th without success and again on October 5th when a foothold was gained on its southern slopes. 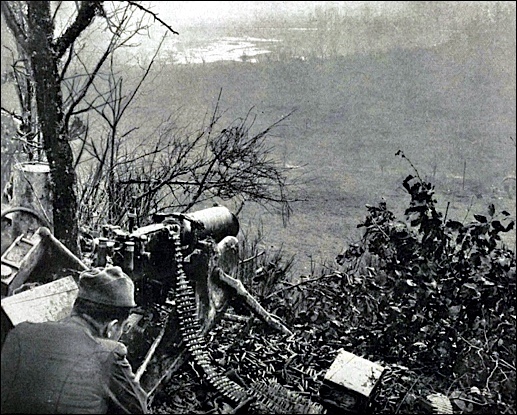 The photo shows a German machine-gun nest, after it was taken on October 9th by the 3rd Division after a bitter struggle. Hill 253 was a little more than 1-mile north of Cierges, France. The body of Ervin Sheffer was likely buried in the pictured cemetery, or another of the numerous small temporary battlefield cemeteries scattered across France. 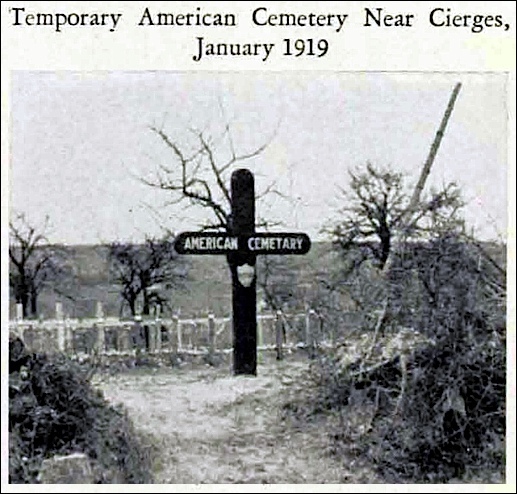 By the Armistice of November 11, 1918, there were over 76,000 United States soldiers buried in temporary battlefield graves. No remains of fallen WWI soldiers were returned to America until well after the war ended. 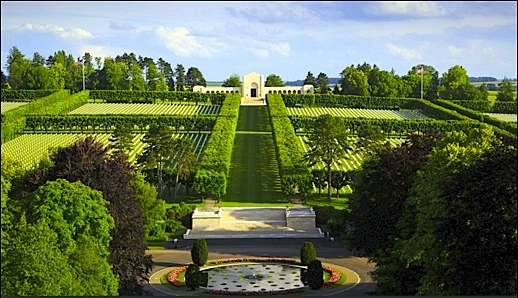 Meuse-Argonne American Cemetery in France is the burial location of 14,246 American WWI Veterans. This hallowed ground, in Northeast France, is the largest veterans cemetery outside the United States. PVT Monroe R. Hunter . 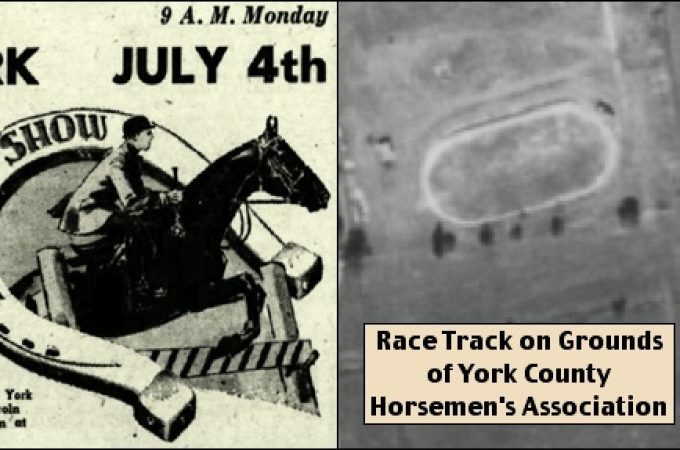 . . Carroll Twp. PVT Granville Smith . . . Dover Twp. SGT Harry C. Stover . . . Jackson Twp.